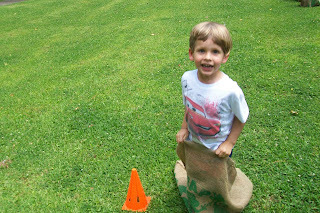 Today we attended our neighborhood Memorial Day celebration and had a blast. 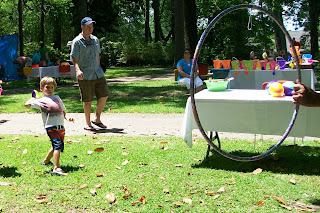 There were inflatable jumpers, games and prizes, and fun times at the park and pool. 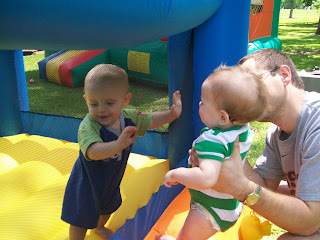 Brady reaching out to his friend Wesley. 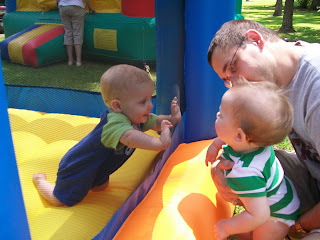 Brady and Wesley looking at each other through the mesh of the bouncer. 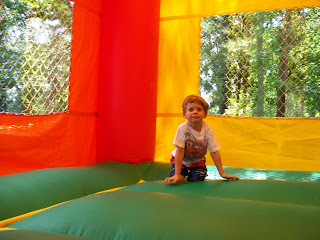 Dawson in the big inflatable jumper for big kids. 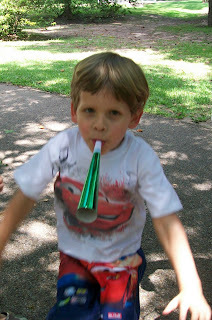 Jumping up and down and blowing his party horn, which was so very loud! Swish, he scores! 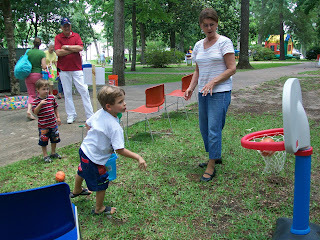 Dawson was so good at this little basketball game. At one point, he scored 14 times in a row!! 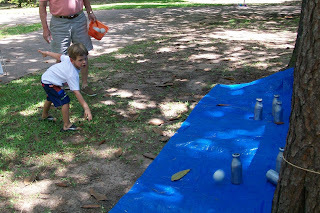 Another action shot - this time knocking down the bottles with the baseball. 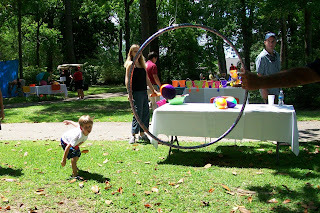 Preparing to launch the football through the ring. Through the hoop it goes. 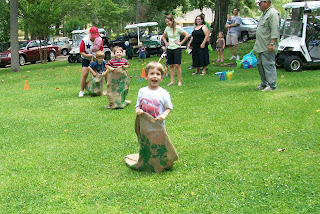 Smiling and happy at the finish line of the sack race. 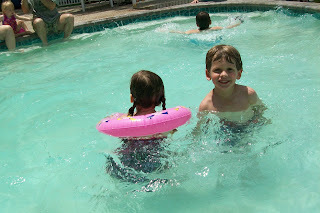 Cooling off in the pool after all the fun and games.